Sharkfin banners are uniquely shaped outdoor banners. They have a curved top edge and almost have a “teardrop” shape. 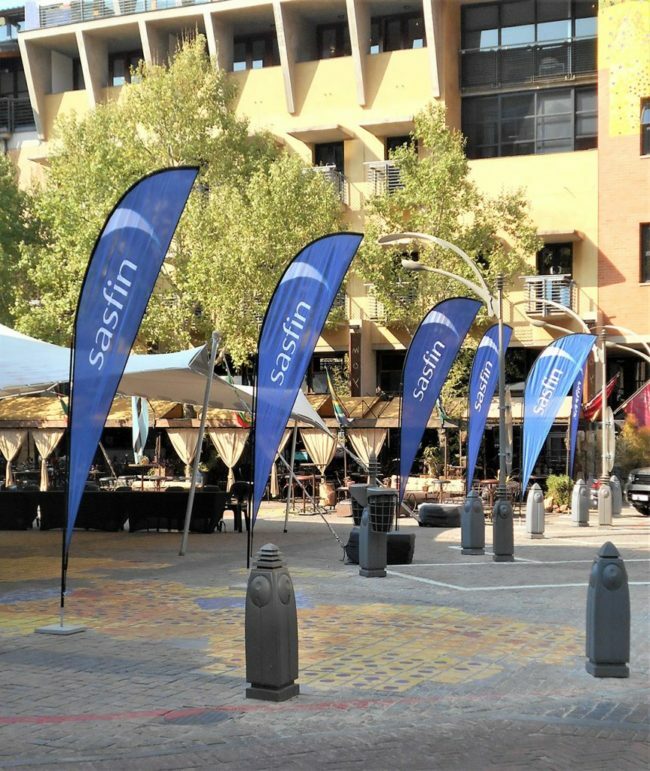 Sharkfin banners are designed for outdoor branding and the fabric is ideally suited for this to avoid rips. Our clients use the sharkfin banners for their golf days, their car branding events and sales floor branding.